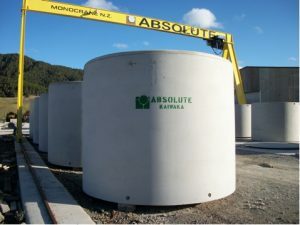 A T5000 Fortress tank from Absolute Concrete is New Zealand’s Toughest Water Tank and at 22500 litres actual storage (5000gallons) will satisfy all your water storage requirements. Rainwater from your roof is the most common and best method of water collection in Northland. In Northland a 120m2 roof should collect approximately 110,000 litres of water in a dry year. For a four person household this equates to around 75 litres per day and the average usage is about 150 litres. This sounds like a lot but we all know conserving water is important especially when you throw in a particularly dry Northland Summer! Absolute Concrete Water tanks will meet your storage requirements. Tanks may be fully buried, completely out of sight so as not to disturb play areas or views. Made with high slump certified concrete, it is a one piece moulded concrete tank that can be partially or fully buried up to 200mm underground. Concrete tanks keep the water in the dark. This helps prevent algae growth present in some other tanks. 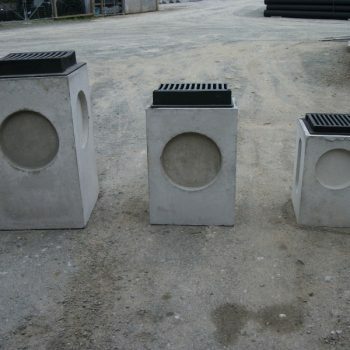 Concrete water tanks are a reliable and convenient water storage in the event of fire. 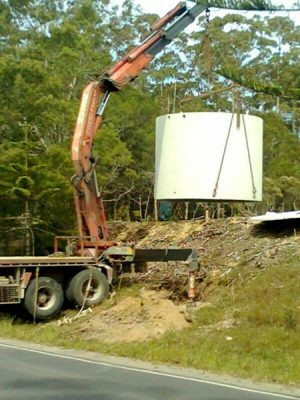 Concrete water tanks do not require additional restraints in high wind zones. An Absolute Concrete Water Tank does not require a building consent. A drive over Tank option is available suitable for light vehicle traffic. 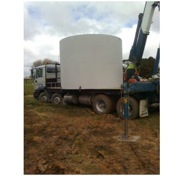 Absolute Pre-cast Fortress Water Tanks are manufactured to standards NZS 3106 and use material that conform to NZS 3422and NZS 3109:1997. Fortress Tanks are manufactured using high strength concrete and fabricated circular steel reinforcement (welded steel mesh) not fibre like some other manufacturers. 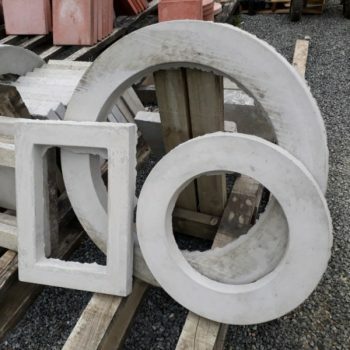 This gives us the ability to engineer more strength where it’s needed most and means that our steel is housed well within the concrete away from the elements, reducing the risk of rust in your water and creeping tank failure in years to come. The T5000 Fortress tank comes with a 125mm thick steel reinforced base so for installations where the lid is above ground, there is no need for compacted aggregate in your tank pad, just clean level ‘good ground’ along with 100mm of fines for bedding. The tanks have ‘Swift-Lift’ lifting anchors cast into the concrete walls. 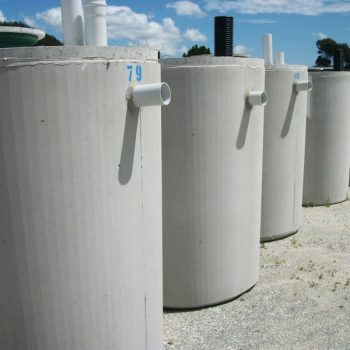 T5000 Fortress water tanks may be completely buried and the standard lids are designed for pedestrian traffic only along with a up to 100mm of light free draining material such as bark, scoria or mulch. Tank lid sealing and manhole risers are optional depending on your style of installation so you’re not stuck with paying for something you don’t need. Heavy Duty Tanks are available on request. Heavy Duty lids are designed to withstand pedestrian and up to 200mm of earth cover and we can also cater for tanks where light vehicle loads are needed. For an engineered tank with maximum strength, no other tank comes close so make sure you specify a Fortress T5000. After installation of the water tank we advise that you make sure it has a load of water added before back-filling. if these conditions have been met. There are no overhead wires, branches, gate posts, etc blocking the access of the loaded Tank and Truck. The driver will take as much care as possible not to damage property but will not be held accountable for damage due to restricted access. The ground is firm enough for the truck. Make sure there are no holes, drains etc to fall into. If you have a wet site please have a digger or appropriate machinery on site. Siting requires a level site and a good foundation so that all the weight is distributed evenly on solid ground. The truck will not be stable on fill. Please ensure the digging material has been placed so that the truck can access the site. Crane legs must be able to be extended on flat level ground that is solid virgin country – not fill, preferably in accordance with NZS 3604. Your tank site needs to be flat and level. It is advisable to set the tank onto a base of fines of 7mm granular material and this should be on a base of compacted material. If there is any doubt that the fines may be washed out over time, it is advisable to box them in. The area should be free of rocks, tree roots and other protrusions that may cause pressure points. delivery to assist in your preparation. Any site work by our company will be at your cost.